Cassava Republic debuts cover for anthology "She called me Woman"
You might realise how ground breaking the new book by Cassava Republic is for Nigerian literature, which is why you have us here. There have been a number of Nigerian fictional novels with queer or LGBT characters, or even books by openly out Nigerians in the diaspora (think Jude Idada and Frank Edozien), but this is the very first time a non-fiction compilation of the lives and experiences of LGBT persons in the country is being given a major release. It is even more ground breaking when you consider that Cassava Republic is focusing the anthology entirely on the narratives and experiences of womxn. 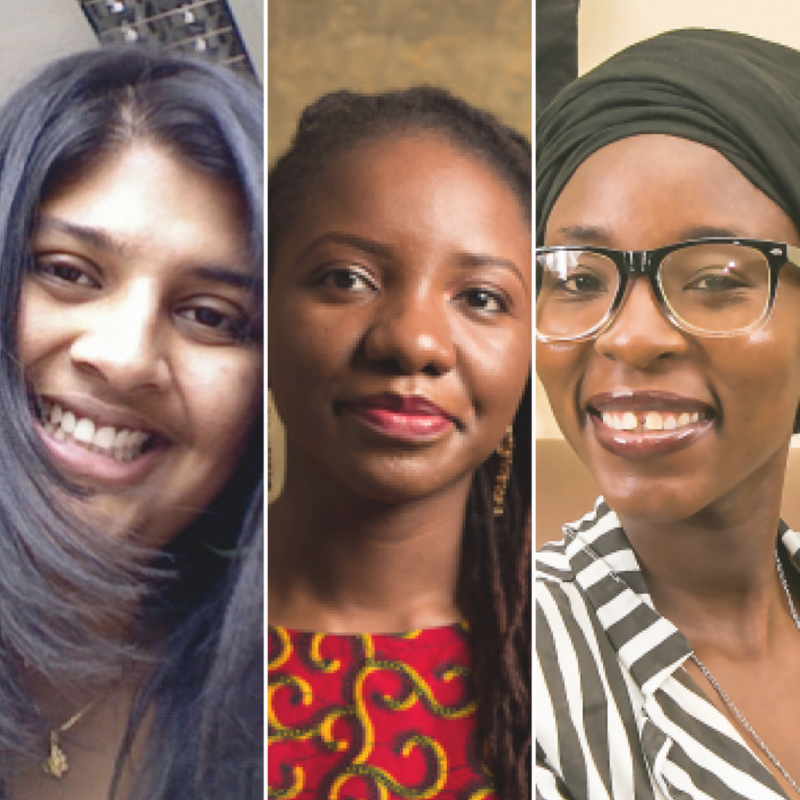 She Called Me Woman is edited by three of Nigeria’s most interesting literary players; Azeenarh Mohammed, Chitra Nagarajan, and Rafeeat Aliyu. All three women were instrumental in the process of compiling the anthology, even going into the field to conduct some of the interviews that made their way into the anthology. these narratives give the reader access to the narrators’ innermost thoughts and explore what it means to be a queer woman within Nigeria’s often deeply conservative communities. For some insight into the anthology, here’s the official statement from the publisher, announcing the book’s cover. Through their words, we learn of first loves, heartbreaks and familial pressure; the struggle to reconcile religion, sexuality and culture; the battle to be comfortable with one’s gender and sexual identity within communities that can be hostile and intolerant; the socioeconomic pressures and universal difficulties faced by women in Nigeria. She Called Me Woman restores agency, presence and humanity to Nigeria’s queer women by providing a platform from which they speak for themselves. Women from a wide range of class, religion and educational backgrounds take the reader on a sometimes celebratory, sometimes troubled but always insightful journey into their everyday life. 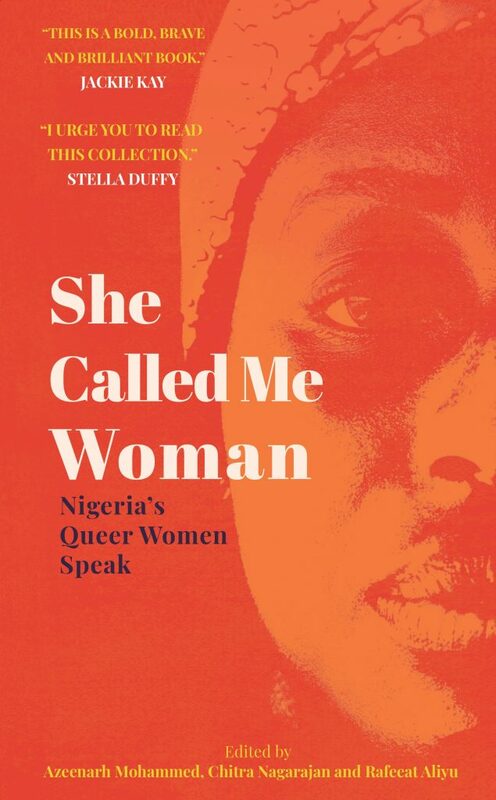 The book covers the experience of queer women from across Nigeria, with narrators coming from Maiduguri, Zamfara, Imo, Oyo, Abuja, Plateau, Lagos, Ondo and more. It restores balance in the discussion on sexuality and gender, which can unfairly favour queer men. It brings into mainstream consciousness the existence and issues of queer women in Nigerian society, ensuring that their stories are told and their voices heard. Designed by Maia Faddoul, the cover image features a faded-out picture of a Nigerian woman, gazing straight at the reader as if calling on them to look at her and acknowledge her existence. The use of varied colours on the cover calls attention to the diversity of voices and narratives in the collection. The subtitle is purple – a key colour in queer communities that has variously been used to represent lesbian pride, the spirit of the LGBTQ community, and a challenging of gender norms in its blend of blue and pink. The editors, Mohammed, Nagarajan, and Aliyu, have collected stories that challenge us to rethink the meaning of queerness and womanness and this cover embodies it. We’ve already preordered. Have you?